So, you may have noticed that, aside from some content I had front-loaded onto the blog, I haven’t been around lately. To say things have been a little crazy around here would be an understatement. 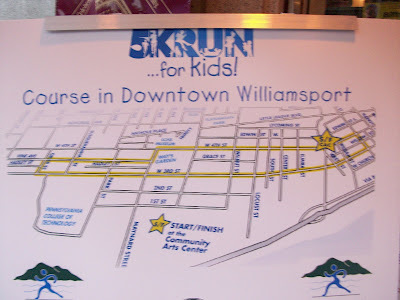 On Friday, June 5, I ran/walked my first 5K! I’ve been training since February and have lost 35 pounds, and was very excited. To be honest, I didn’t think I could do bit. I spent the last mile praying hail Mary’s. But I did it, and I’m very proud of myself! 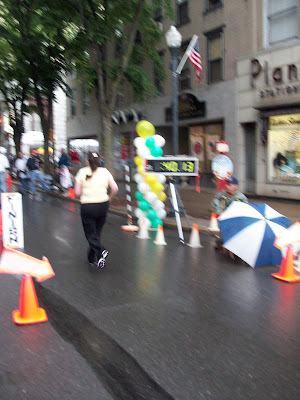 Here I am crossing the finish line. 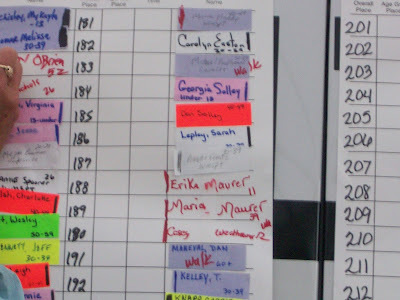 And here is my place– 187! But there were over 300 participants, so I guess it’s not too bad. And here I am looking sweaty and awful with my wonderful children. What made it even more special is that the day I ran the 5K, I also found out we were expecting our fifth baby! So, between the nausea, the dizziness, and the exhaustion, I just haven’t been up to blogging. Throw in Michael’s homeschool evaluation, a couple of homeschool picnics, swim team getting started, and general summer mayhem, as well as me completely rewriting Summer Seasons of Joy, and you can see why I haven’t been around. Hopefully, I’ll be able to catch up a bit this weekend. Wow, congrats on the 5k! What an accomplishmen And congrats on the pregnancy too! Congrats!!! 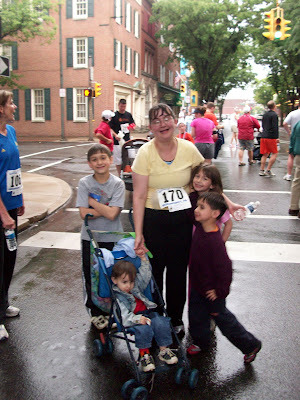 on the 5k, the weight loss (I'm envious) and the blessings of a new one! How exciting.